Golder welcomed Bo Bendtsen to the company. 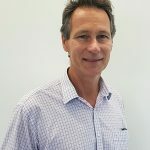 A Principal Structural Engineer with over 35 years of experience on large and complex surface and underground projects, Bendtsen will be based out of the firm’s Melbourne, Australia, office. Bendtsen has significant experience as the lead engineer responsible for the delivery of major civil and infrastructure projects, including a variety of tunneling projects across Australia, Scandinavia, Indonesia, and the Middle East. Prior to joining Golder, he was the Vice President of Tunnel and Underground Infrastructure at COWI. Bendtsen will lead the development of Golder’s geo-structural capabilities in Melbourne, and assist with the ongoing implementation of Golder’s global tunnelling strategy across the Asia Pacific Region. Golder’s global tunneling group provides integrated geotechnical, design and environmental services throughout a tunnel’s lifecycle, from project planning and procurement, to project delivery and operation. Golder’s tunnel service offerings include the design of temporary and permanent works for underground excavations, in the infrastructure, mining and power sectors. Bendtsen adds significant major project and leadership experience to this team, both in tender and project delivery settings.